The one I made is from pleather and it’s nothing like theirs,of course. 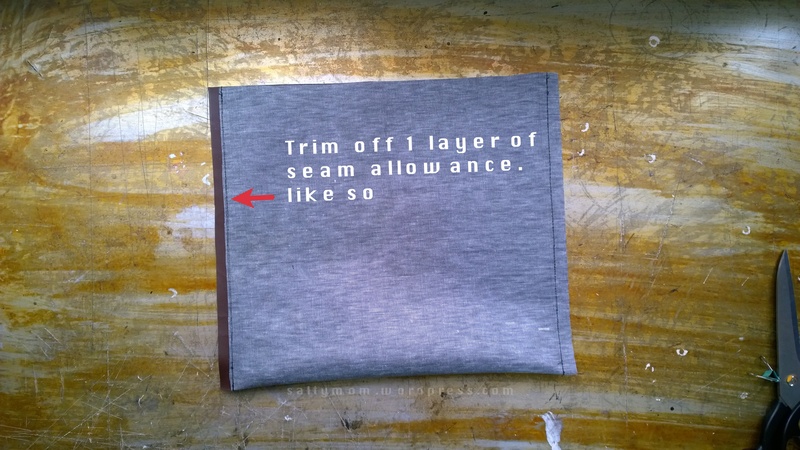 Fold the short sides together and sew the sides with a 1.5 cm seam allowance. I wanted to hide the seams inside the bag, so I trimmed off one layer of the seam allowance. When the glue’s dried, flip the bag’s good side out and fold the side seams towards each other. 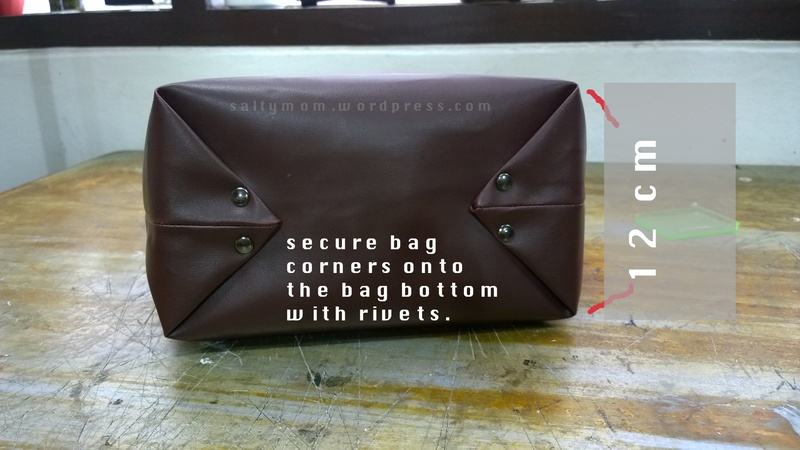 ( sorry, no photo here ) The bottom of the bag will form 2 pointy corners. Press that down, and measure across that pointy corner 12 cm. 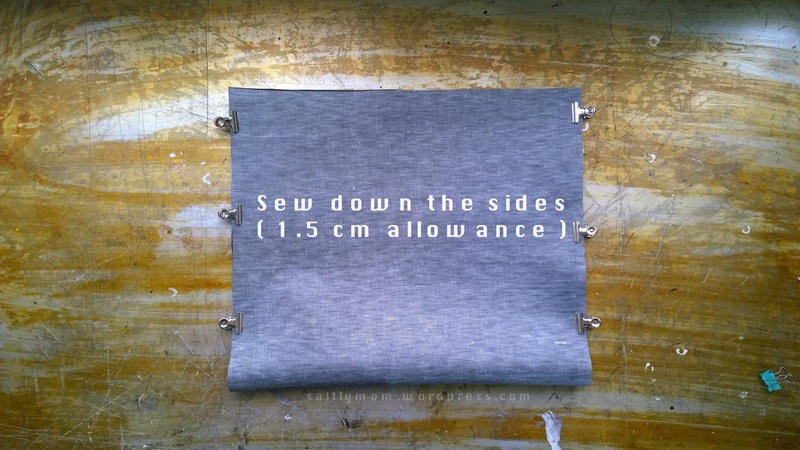 Make sure there is 6 cm on both sides of the side seams so the bottom is centered. Then fold the two corners into the bag’s bottom. I use rivets to set the bottom in place. I use masking tape to hold the corners in place before knocking the holes for the rivets. The bottom hold up surprisingly well. In the finished photo of the bag, I had my wallet, make up bag, planner inside and the bottom did not sag. For the bag’s opening, you need to knock 6 holes on each side. 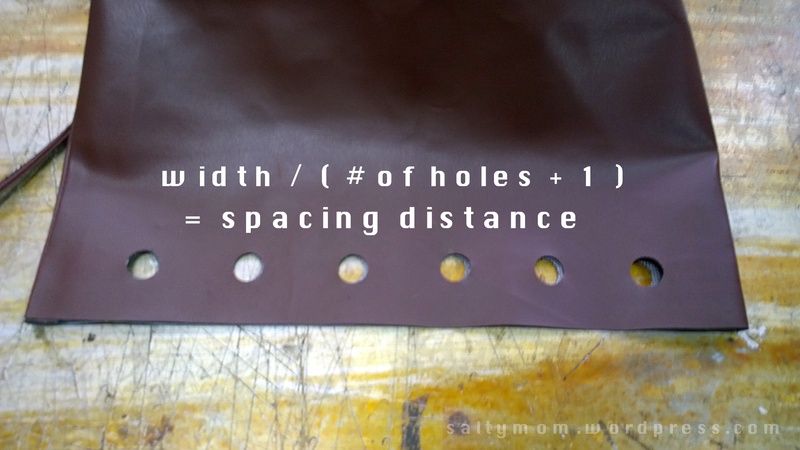 To find the distance between the holes, measure the bag’s opening on one side, divide it by the number of spaces between the holes ( that will be 7 ). 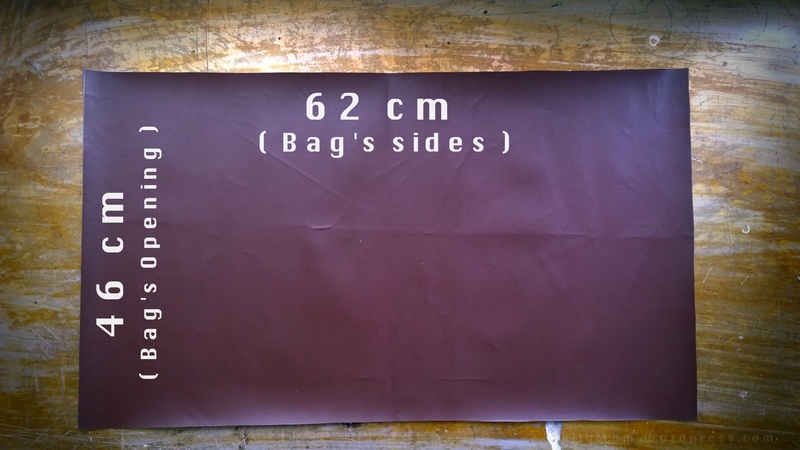 For the drawstring and the stopper , cut out 71.5 cm by 4 cm piece of leather. Fold the long sides towards the middle, then over themselves. 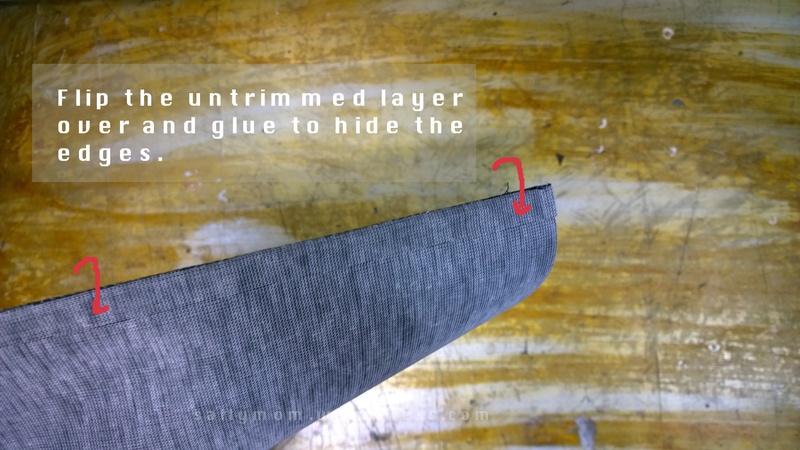 I use double sided tape to keep the pleather from unraveling. Clip everything up and sew down the sides. The drawstring measures 65 cm, the remaining 6.5 cm is used to make the stopper so you don’t have to tie/ untie each time you open the bag. The bag strap is more complicated as it is adjustable. I’ll be posting it on my You tube channel soon, Overall, it is made the same way as the drawstring, The strap piece measures 126 cm by 8 cm and I use 3 screw-on studs ( <– amazon affiliate link ) as the length adjuster. When buying studs, make sure the post is long enough to hold 2 layers of the strap in place. ← DIY Ideas : What to Doodle ? 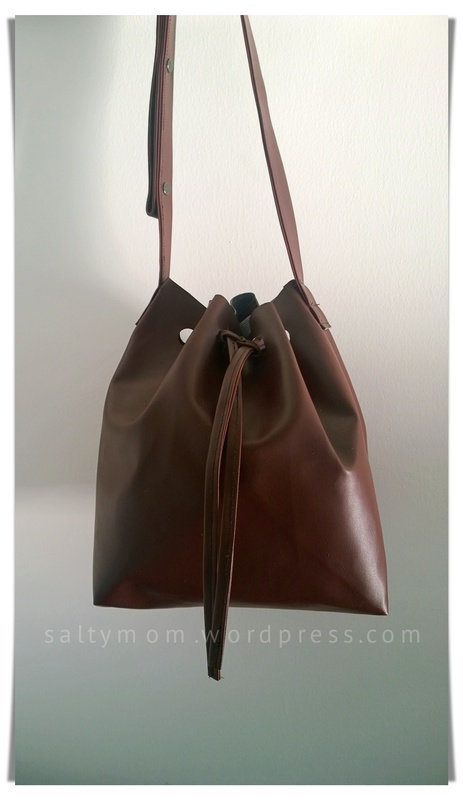 Wow, you make it look so easy – what a beautiful bag! 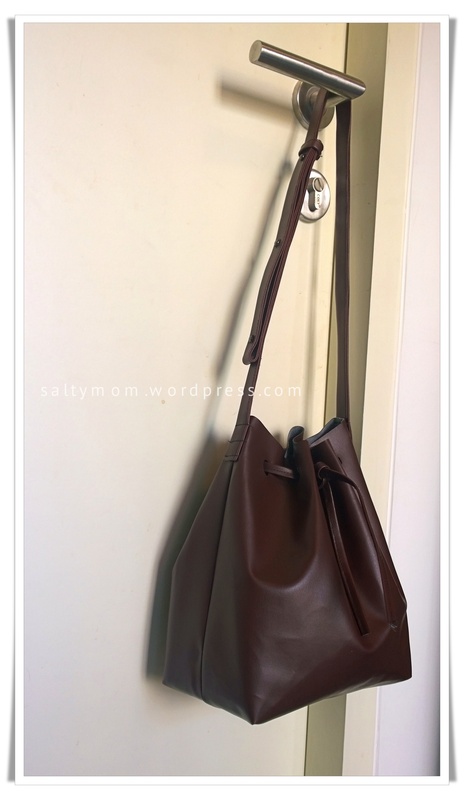 I might have to try this … inspired by your use of pleather as well. Thanks for posting!